In All About Eve Margo Channing (Bette Davis) is a highly successful but aging star on Broadway. After a show, her best friend Karen (Celeste Holm) introduces her to her biggest fan: Eve Harrington (Anne Baxter). Margot hires Eve as her assistant, but as time goes by it becomes apparent that Eve is a conniving woman who is using Margot to become a star herself. 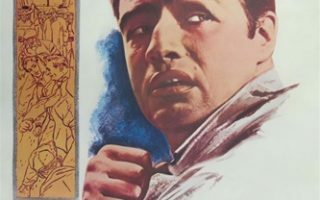 – The film was based on the short story ‘The Wisdom of Eve’ by Mary Orr. The character of Margot was believed to be based on Tallulah Bankhead. But Mary Orr later revealed it was based on an anecdote that actress Elisabeth Bergner told her. – A lot of actresses were considered for the part of Margot Channing. Such as Susan Hayward, Gertrude Lawrence and Marlene Dietrich. Ultimately, Claudette Colbert got the part. But she suffered a ruptured disc before filming and had to withdraw. Bette Davis got the part instead. – This is one of the first important parts of Marilyn Monroe’s career. She is said to have been very nervous to act opposite Bette Davis and therefore forgot her lines regularly. – Although Celeste Holm and Bette Davis played best friends, they did not get along in real life. Incidentally, Anne Baxter and Bette David played rivals, but became good friends. – The character of Birdie Coonan was written especially for actress Thelma Ritter. 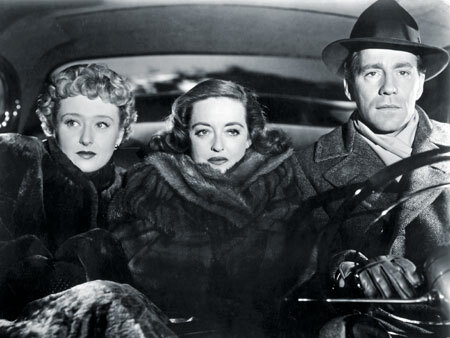 – Bette Davis and Gary Merrill did not only play lovers on screen, they also became an item off screen. They married a couple of months after shooting wrapped and stayed together for ten years. – Bette Davis’ career was in a downward spiral before All About Eve and she had just ended an 18-year association with Warner Brothers when she got the part of Margot Channing. She later said the film had ‘resurrected me from the dead’. – In 1970 All About Eve was turned into a Broadway play called Applause. Lauren Bacall initially played the part of Margot, but when she left Anne Baxter (who played Eve in the film) came full circle and took over as Margot. 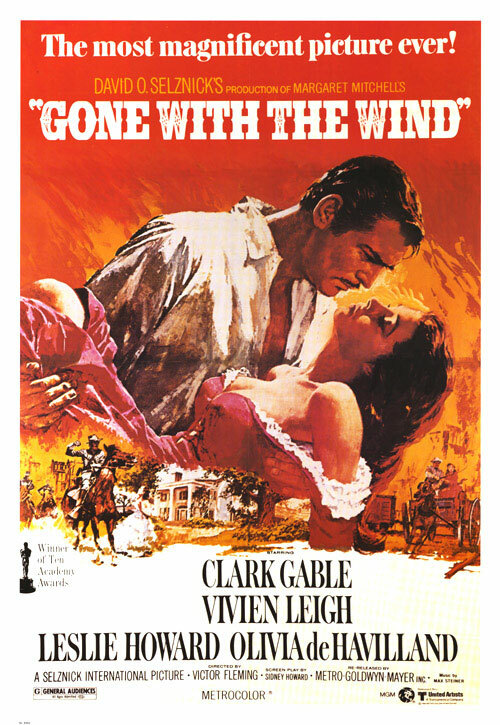 – The film ranks first in the Most Academy Award Nominated Films with 14 nominations. 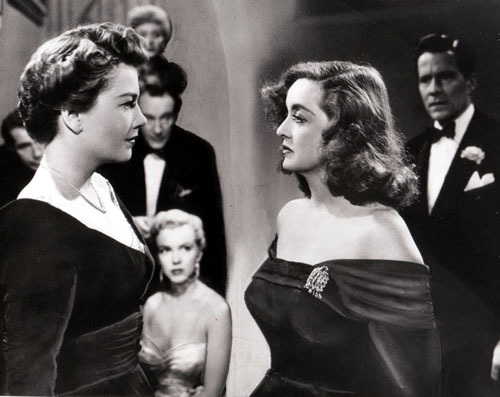 All About Eve is seen by many as one of the best films of all time. It is a classic with fans all over the world. It is a timeless film that is therefore appreciated by older and younger generations alike. 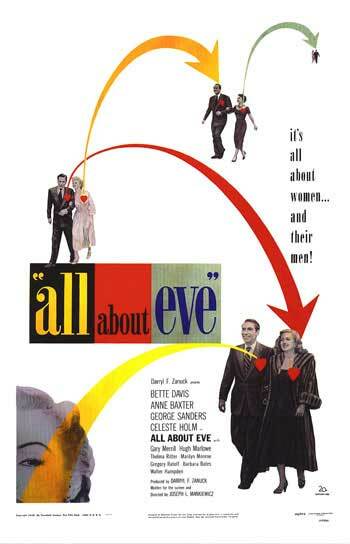 In 1990, All About Eve was selected for preservation in the United States National Film Registry by the Library of Congress as being ‘culturally, historically, or aesthetically significant’ and in 1997 it received a placement on the Producers Guild of America Hall of Fame. 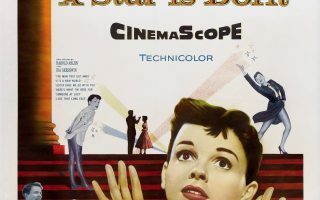 But it is not only appreciated by the audience and critics, the cast and crew also knew that they were working on something special during filming. Actors like Bette Davis and George Sanders have admitted later on that All About Eve was the best film in their career and that they were proud to have been a part of it. One of the best! The entire cast is so excellently chosen it’s hard to imagine any other actors in these roles. My personal favorites? George Sanders – hands down – as the wonderfully ascerbic Addison Dewitt. Bette Davis, of course. Thelma Ritter. Celeste Holme. I am only modestly a fan of Anne Baxter, but she did a great job in this film.